Are you looking for a local expert to complete your textured painting job in Port Chester? R&F Paint Corp. can give your room a fresh, new look. 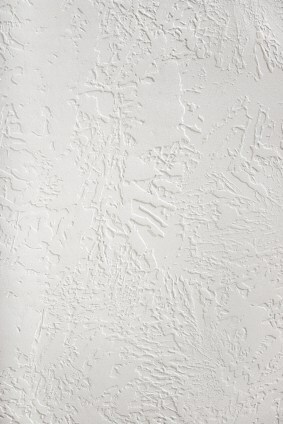 Adding texture to walls can give a room richness and depth. When it comes to affordable yet professional Textured Painting in Port Chester New York, no one beats R&F Paint Corp.'s experienced painters. If you have ever tried textured painting in your Port Chester New York home, you know that it is both a challenging art and a skill. That's why R&F Paint Corp.'s professional textured painters are the top choice for Port Chester residents. 5★★★★★ - "This company did such a wonderful job on our exterior in Darien, CT. Our house looks amazing!!! Clean and very professional." 5★★★★★ - "Our home looks beautiful!!! Thank you R&F Paint. See you for the exterior very soon." 5★★★★★ - "R&F Paint is the BEST of the BEST. Our new home in Rye looks amazing "
5★★★★★ - "We highly recommend this Painting Company to anyone in Fairfield country. Neat, courteous and the work was done in a timely manner "
5★★★★★ - "This is the second time I have used R &F Paint Corporation. As with the first time they were prompt, came every day, were neat, cleaned up at the end of each day and were overall a pleasure to work with. I would recommend them to anybody looking for a high quality paint job at a reasonable price." "Great job on the Trumbull town hall building. Your men were top notch professionals." 5★★★★★ - "I am very pleased with the work on our home in Greenwich, CT. Neat, fast with high quality." 5★★★★★ - "R&F Paint is no doubt the best painting company we have ever used!" "Professional, courteous with reasonable prices." 5★★★★★ - "Ralph and Frank from R & F Paint have put all of my painting concerns at ease. These guys run a top notch outfit." 5★★★★★ - "OUTSTANDING service!! I would recommend R&F Paint Corp. to anyone with the highest confidence." 5★★★★★ - "They are the best painting company I have ever used. A must for any of your painting needs." "Great prices, Great Service and Great workers says it all about R & F Paint." 5★★★★★ - "Wow the price was very competitive. Wonderful crew. Beautiful work! I will recommend R&F Paint Corp to all my friends." 5★★★★★ - "R&F Paint was very responsive to our needs after the most recent storm. They had a contract to us in one day. They are simply the best company that I have ever worked with."